Enjoy up to 65% off for a limited time! Modern Scoring Brass is an elite 30 piece multi-instrument divisi library painstakingly developed by recording individual brass masters on a trusted scoring stage. This gives you the ability to build your own sections using the sizes and instruments that best suit your production. The library runs in our state of the art Orchestral Engine. Click here to learn more. 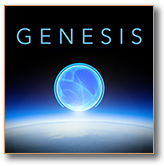 Built on our new orchestral engine, the Genesis Choir is an elite 64 piece multi-ensemble (4 part divisi) children’s choir that is like having 4 choirs in 1: Click here to learn more. 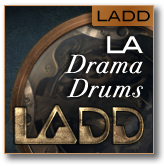 LADD provides a modern solution to scoring cinematic percussion, production and sound design. 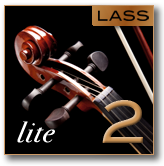 At its core, LADD is a complete, deeply-sampled modern orchestral percussion library. Not only does its integrated sequencer record and play phrases, LADD can mangle the sound and switch complete effects snapshots from the keyboard in real time. Click here to learn more. 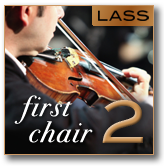 This is the flagship LASS library that includes all the sections (violins, violas, cellos, basses): First chair, 1/4 divisi A section, 1/4 divisi B section, 1/2 divisi C section and a Full Mix of the combined divisi sections. Click here to learn more. We are proud to announce LASS Legato Sordino (LASS LS). LASS LS picks up where there original LASS left off with sordino strings (muted strings). 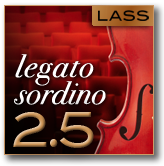 You can now achieve that wonderfully silky sordino sound with all the legato, portamento and glissando expressiveness that is so sought after in emotional scores. Click here to learn more. * This is the special price for LASS Full owners. Save $100. Includes full ensemble mix patches from the full version without the divisi sections and first chairs. Click here to learn more. Includes the first chair patches from the full version. Click here to learn more. This is LASS’s ultimate bundle. 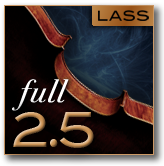 With this bundle you will have all of LASS’s strings and articulations. * Upgrade path offer is good through October 31st, 2019 and can be changed at audiobro’s discretion. The “dollar-for-dollar” value is based on the current Audiobro sale price of the product from which you are upgrading + $25 License Upgrade fee. *** Re-downloads of Audiobro libraries: Please make a safe backup of the downloaded library once successfully installed. You’ll need it to re-install the library and put it on a second computer. Otherwise, you can request a re-download. To cover the Amazon Web Server transfer rates, the rates for sample downloads are either $5 for non Modern Scoring Brass libraries or $25 for Modern Scoring Brass. Kontakt Support: Audiobro uses Native Instrument’s Kontakt as its sample playback engine. Users are expected to have a basic understanding of Kontakt. While Audiobro takes it’s tech support very seriously and has a robust private support forum with over 22,000 posts, we consider basic Kontakt functionality to be outside the purview of Audiobro’s tech support and recommend using NI’s official Kontakt Support forums. That said, as a courtesy, we usually do answer basic Kontakt questions. AUDIOBRO RETURN POLICY: Downloaded software cannot be returned, and therefore we cannot make refunds. So please make sure you fully evaluate the product and listen to the demos and ask any questions before purchasing. If Audiobro sends you back-up DVDs of sample content only, they may only be returned if it is defective or damaged. If reported within 30 days of shipping, in cases where the product arrives damaged or is defective, we will send a replacement of the defective or damaged item (we may require the defective or damaged item to be returned before sending out a replacement). No audiobro software may be resold and the licenses are not transferable. FEDEX SHIPMENTS: All our sample backup disks/thumb-drives are shipped via FedEx with a tracking number which is emailed to you upon shipping. It is your responsibility to sign for the package and be there for its delivery. If you are not present at the time of delivery, FedEx will leave a note saying it will re-attempt. If you are not there after the 3rd attempt, FedEx will let you know that it is being held at the local FedEx facility for a few days for pickup. If you do not pick up the package at the facility during the holding period, FedEx will ship it back to Audiobro. If after that time you want to have it shipped out again, you will need to pay for the shipping again as well as our return shipment fees incurred by FedEx. INTERNATIONAL CUSTOMERS: International customers are responsible for all shipping charges, taxes (VAT and otherwise), duties and fees levied by their country. There is a “VAT” field in our store and it is for your records and informational purposes only and does not constitute any tax responsibilities on the part of Audiobro. For any questions regarding orders or special shipping arrangements for outside the U.S., please contact us. Resellers: Resellers MAY NOT download our software and resell it. Reselling LASS is in violation of our End User License Agreement (EULA) and therefore you would be liable for any and all damages.